At the forefront of technological progress, overcoming the continuous demands of the market, in order to achieve higher productivity and cost reduction for our clients, at EA Global Solutions we offer the service of Offline Programming for all brands and types of industrial robots. The offline programming is an excellent methodology to reduce costs and increase the profitability of the investment in robotic systems. 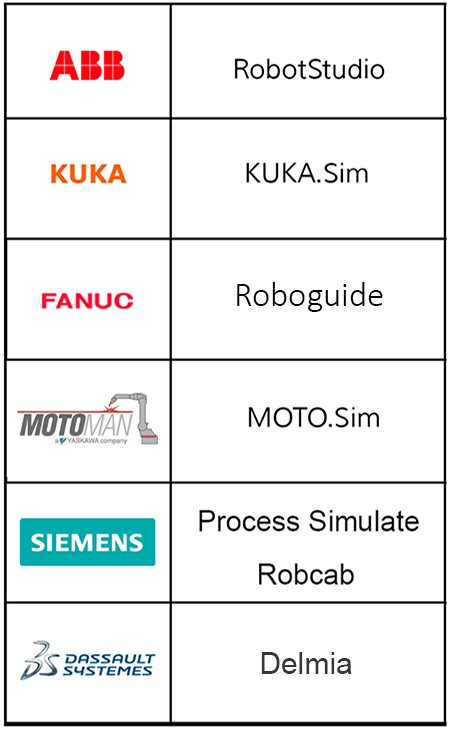 This tool offers the possibility of programming robots virtually in 3D, from a computer, with the same software used in production, not only whether the aim is to optimize current processes but also improving the implementation of future processes. All this happens without interrupting production, with minimal risk and no loss of productivity because of installation and programming times inside the same factory.